Excuse all the pics for such a tiny room, but I’m in love with our new powder bathroom!! 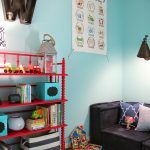 My husband Chris started working on the space over a year ago, but once Wesley was born the project got pushed to the backburner. He recently had time to finish it up and I’m thrilled with how it turned out! I didn’t realize what a handyman Chris was…and I don’t think he did either! He ripped everything out, installed the gorgeous new floor tile, trim, toilet, sink, mirror, light fixture and everything else except the wallpaper! 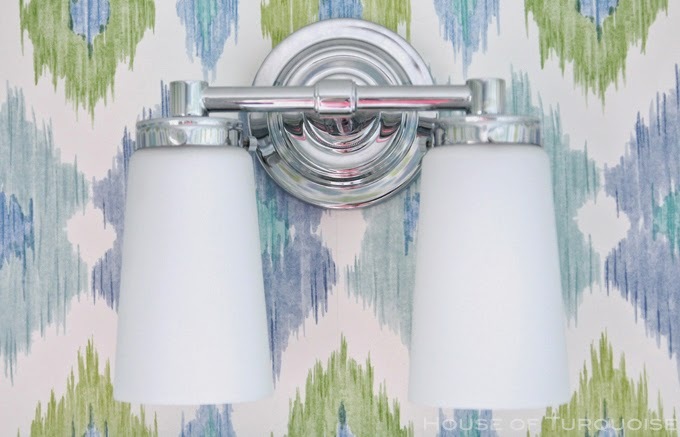 The fixtures are all from the Asbury collection at Restoration Hardware and were quite a splurge…although we waited until a sale so at least we got a deal. After we saw them in person at the store we fell in love with the delicate detailing and quality and couldn’t find anything else we loved nearly as much! Totally worth it! Lastly, the beautiful painting is by Willie Saint James–the nom de plume of a successful American artist endeavoring to offer affordable original art to all! And because no reveal is complete without a before shot…. I love it!! 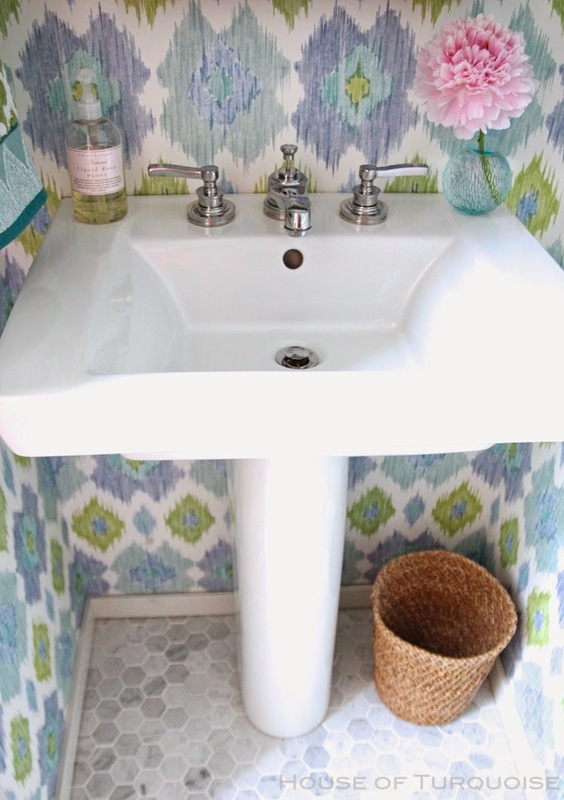 That hand towel looks like it was made to go with that gorgeous wallpaper. It all looks just fabulous! Congratulations on getting it done. I know that's a great feeling! Oh, how beautiful! Really stunning, gorgeous colors and pattern. 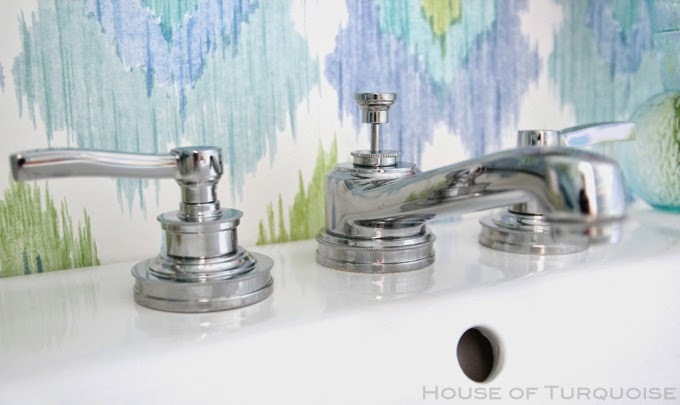 I love the fixtures… thanks for sharing the source. So adorable! 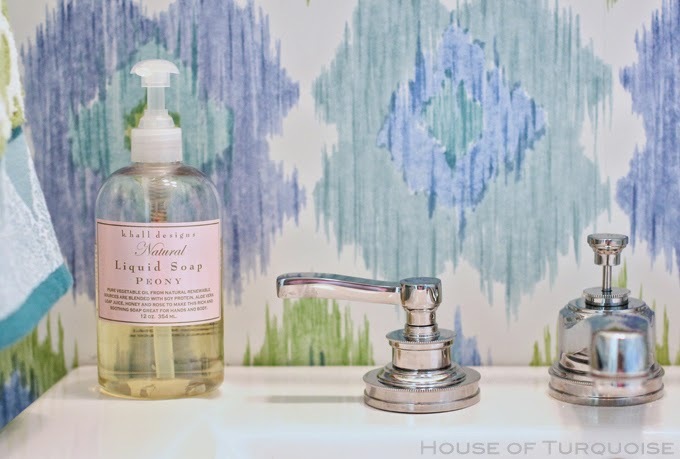 You transformed a builder-grade powder room into a jewel box! It's beautiful Erin!!! Everything is perfect. Great job to you and Chris. Lucky girl for sure to have a handy husband. Gorgeous!!! 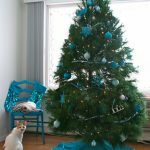 Definitely worthy of being featured on the incomparable House of Turquoise blog! 🙂 Thanks for sharing! Great job – It's plain delightful! I am in love with the wallpaper AND that painting. Also the floor, the mirror, and that peony! It's just gorgeous, Erin. Love everything about it. 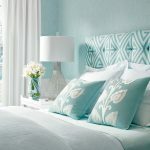 That wallpaper is lovely, and those fixtures are to die for! NICE JOB, CHRIS, very impressive work you did there! Loooooooooove!!!!!!!!!!!! That paper makes me drool! 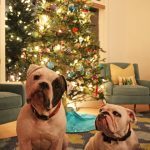 What a delight to see your house on your blog Erin. The remodel is gorgeous and I'm envious of your peonies. 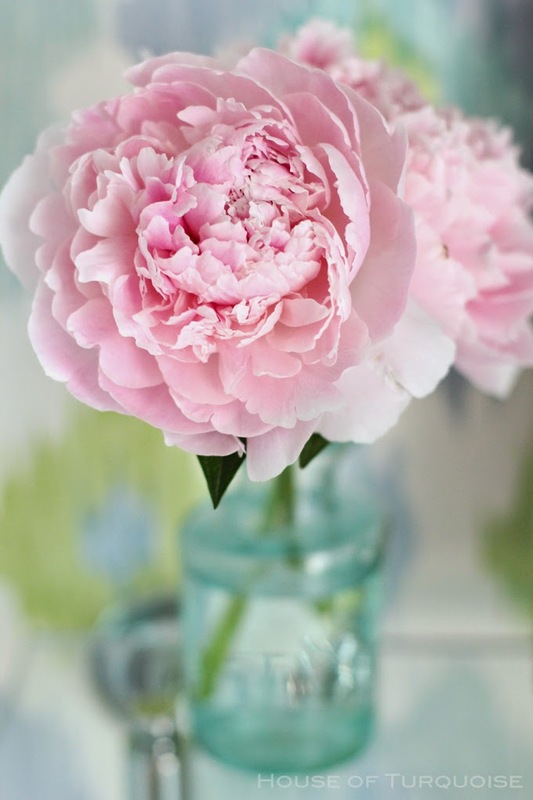 I live in a part of Australia where it is too hot to grow peonies but I love looking at photos of them. 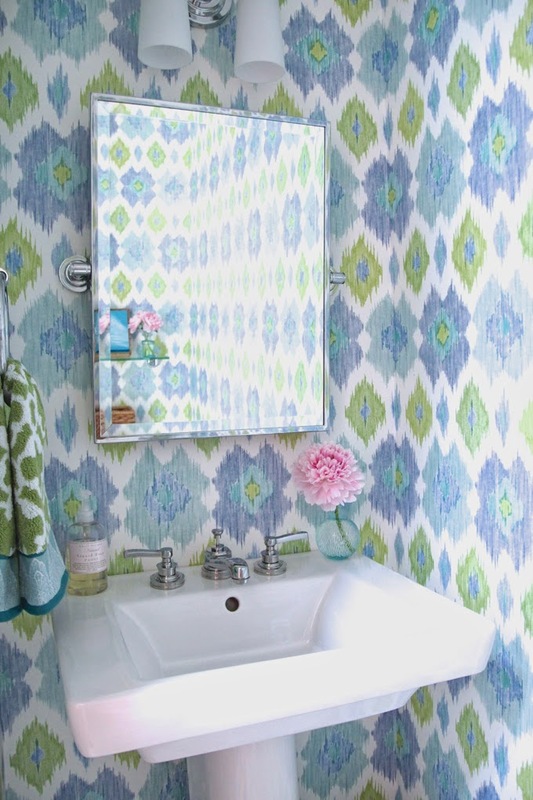 Love the wallpaper so much that I am using the same pattern in another colorway for our guest bath. 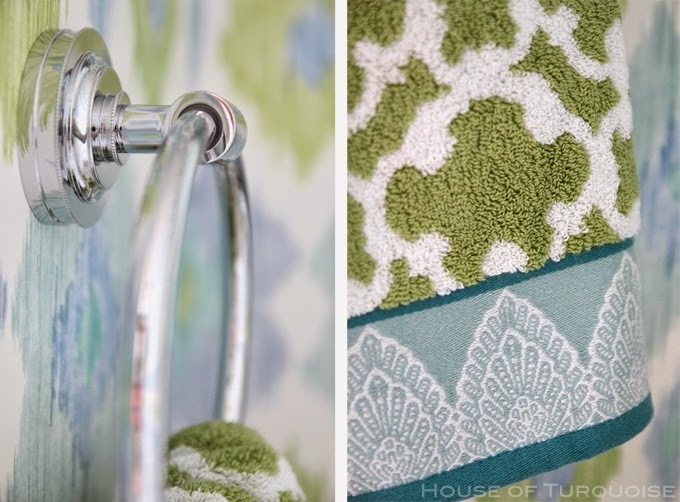 Debating on whether to use the coordinating fabric for the shower curtain. Suggestion? So gorgeous, Erin. Thanks for sharing!! 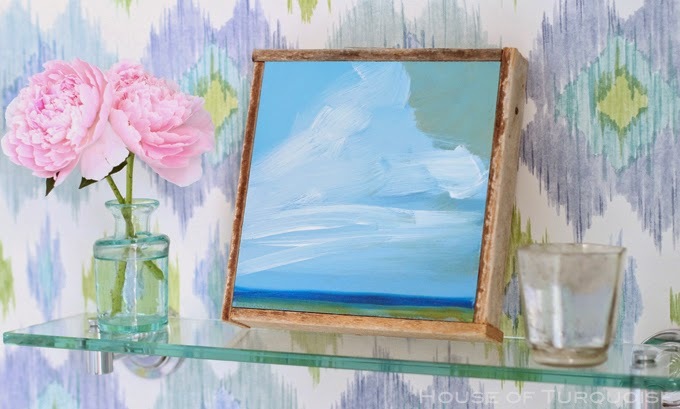 Love the paper, love the art, love the flooring – really I just love the whole space! What a tiny jewel!!! 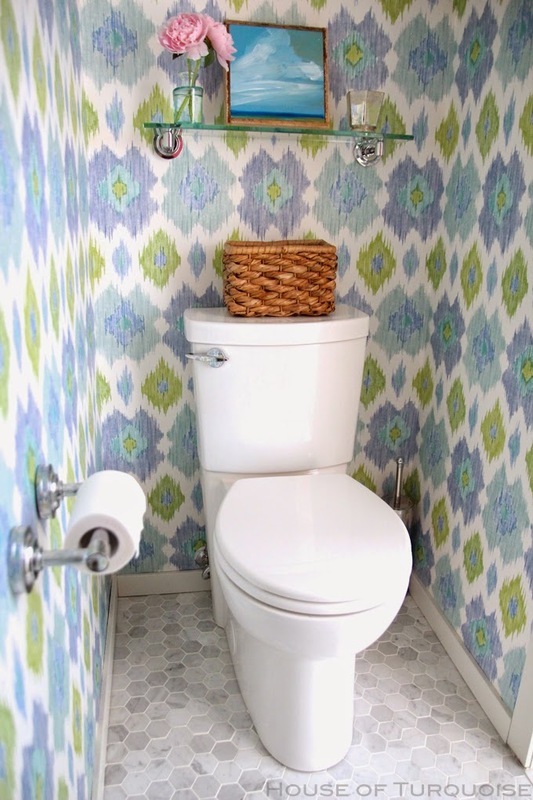 The paper is stunning, but I love the classic choices for the fixtures and tile. So nice to have a handy hubby and so worth the wait for completion! 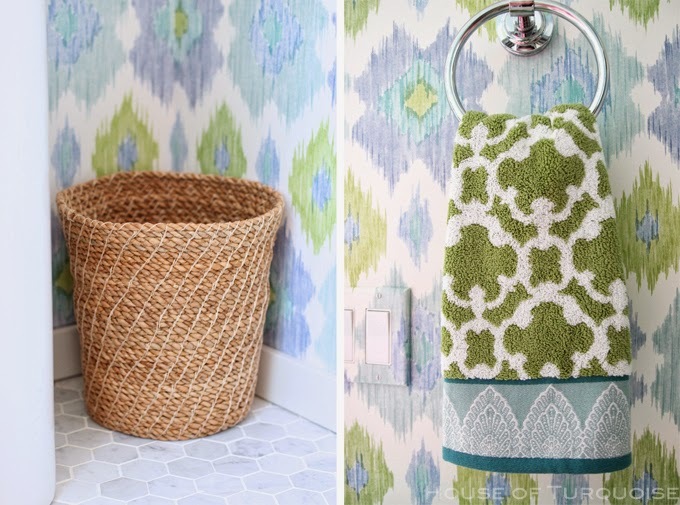 I have those hand towels in my bathroom too, love them! Looks beautiful!! 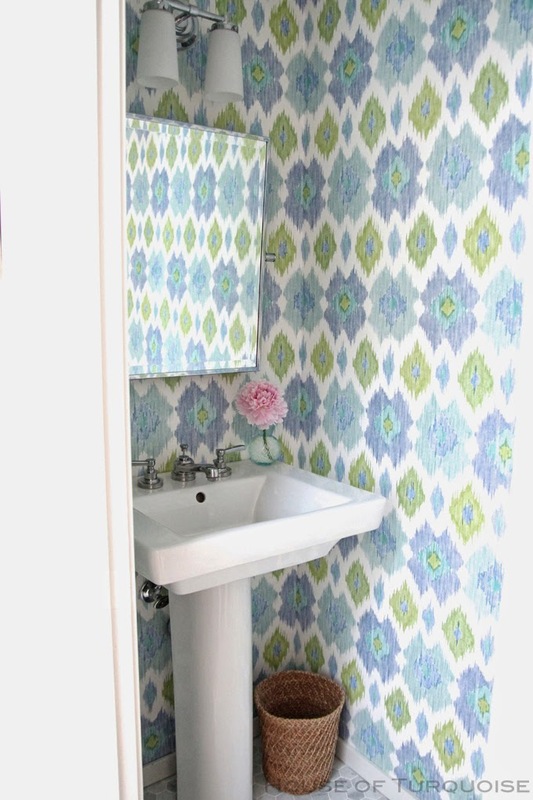 Erin, that powder room is just gorgeous! Congratulations on getting it done (which is 90% of the battle, imo)!!! 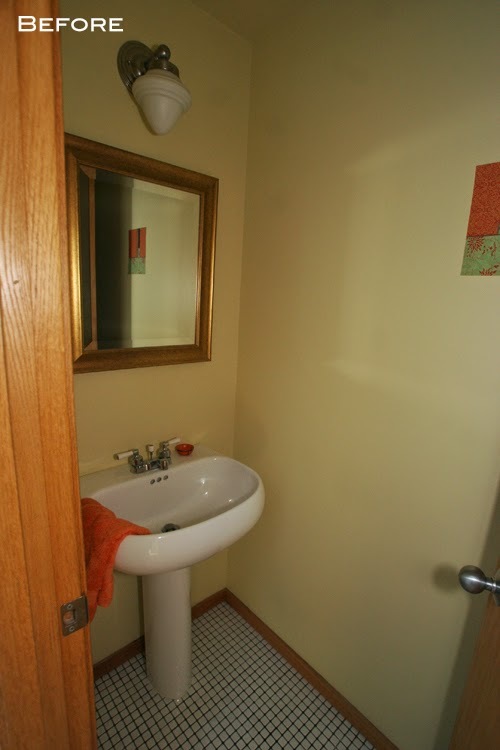 This is a fantastic job for a small bathroom. I love it. You really outdid yourself! This looks amazing! 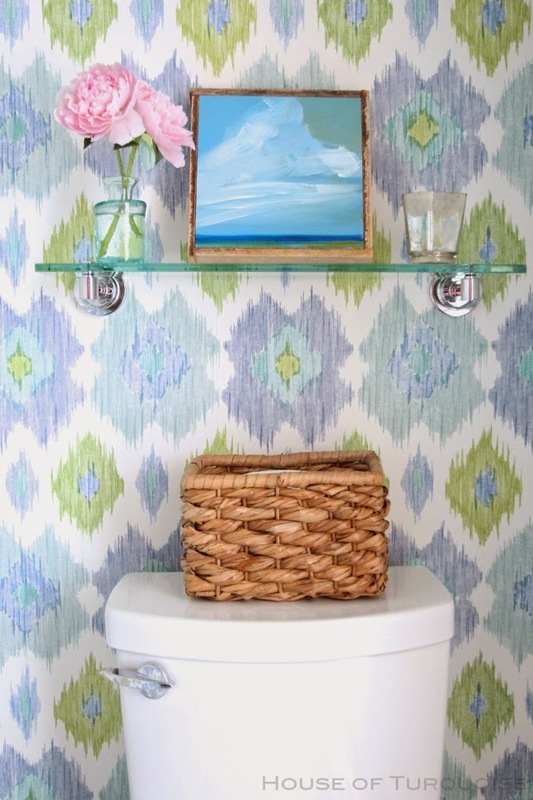 Love the fixtures, the wallpaper, the art print…all of it looks beautiful! that wallpaper looks soft, like a fabric. what a great before and after! So stunning Erin! That wallpaper is unbelievable beautiful!